Posted on May 10, 2018 at 12:00 am. Nottinghamshire YMCA is delighted support the creation of two new Adventure Guides circles for families in Newark and West Bridgford. YMCA Adventure Guides is all about strengthening bonds between parents and their children. With the support of the charity, families plan their own shared adventures and experiences in tightly-knit groups. These groups, known as ‘circles’, also provide structure and a sense of community as families often engage with monthly expeditions, which can include anything from an evening of arts and crafts to a camping weekend in the great outdoors. Throughout summer 2018, there will be opportunities for families in these new circles to attend a variety of weekend camping expeditions organised by the Nottinghamshire YMCA. Activities are designed to help build skills, friendships, and confidence in both children and parents alike. 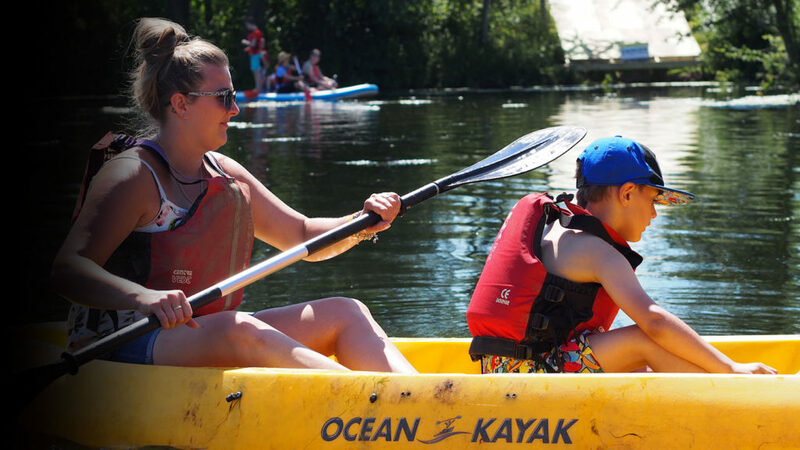 “The Adventure Guides programme gives parents opportunities to engage with their children, opportunities that might otherwise be hard to come by due to work hours, travel, and expenses,’ said Adventure Guides Officer Steve Scott. Support for new circles is now available for all families in the Newark and West Bridgford areas. Families choose their own circle expeditions from a menu of their choice provided by Nottinghamshire YMCA. The Adventure Guides team is on hand to assist with the booking of large circle expeditions and to run circle activities. “We have been able to experience new things, spend more quality time together as a family, and have become a stronger unit,’ said one Adventure Guides parent. To find out more and create your own circle, please contact the YMCA Adventure Guides team on 0115 978 5809 or email adventure@nottsymca.org.